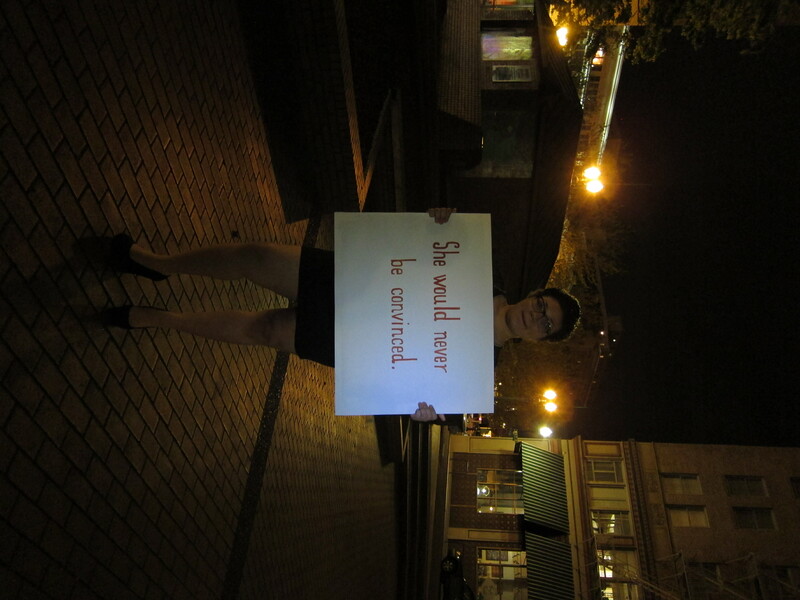 Kaia’s poem is drawn from surveillance files that police kept on activists in the 1970s and 1980s in Portland. 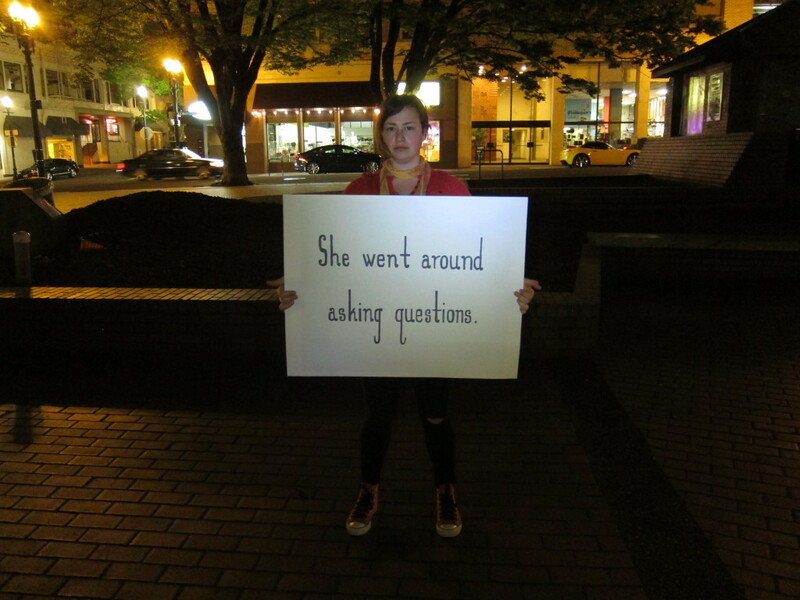 I wanted to bring these covert phrases into the public, utilizing the visual language of a protest sign, since our route followed a historic protest march route. 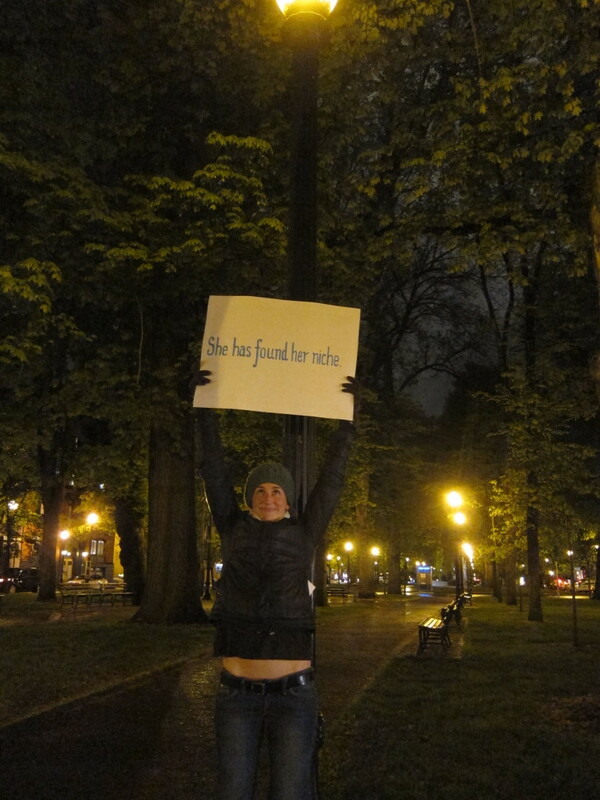 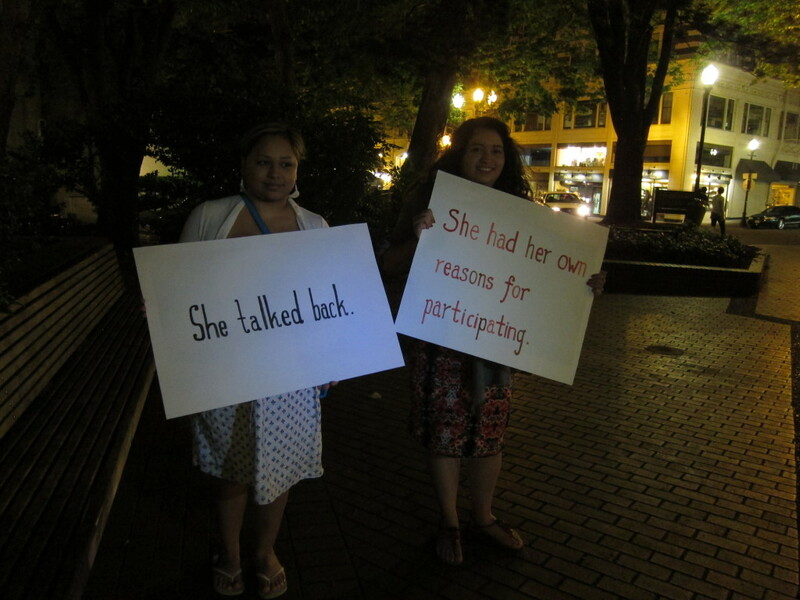 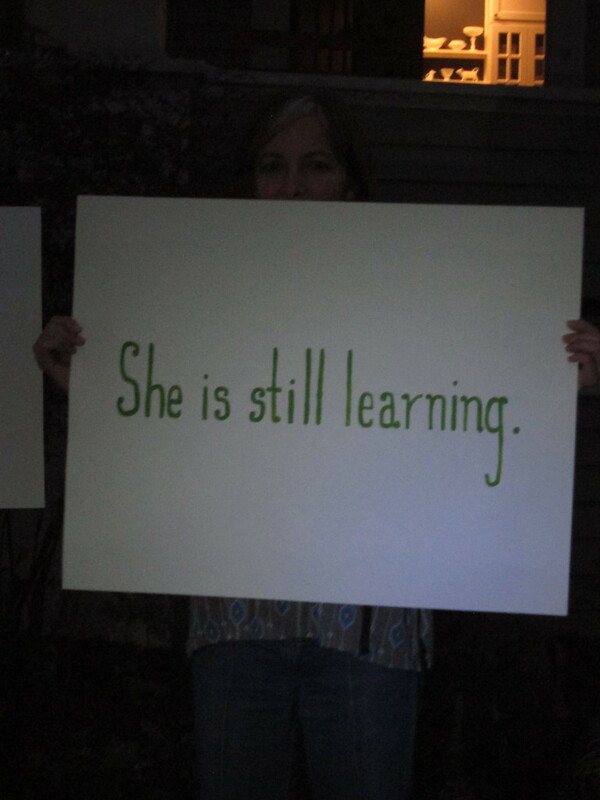 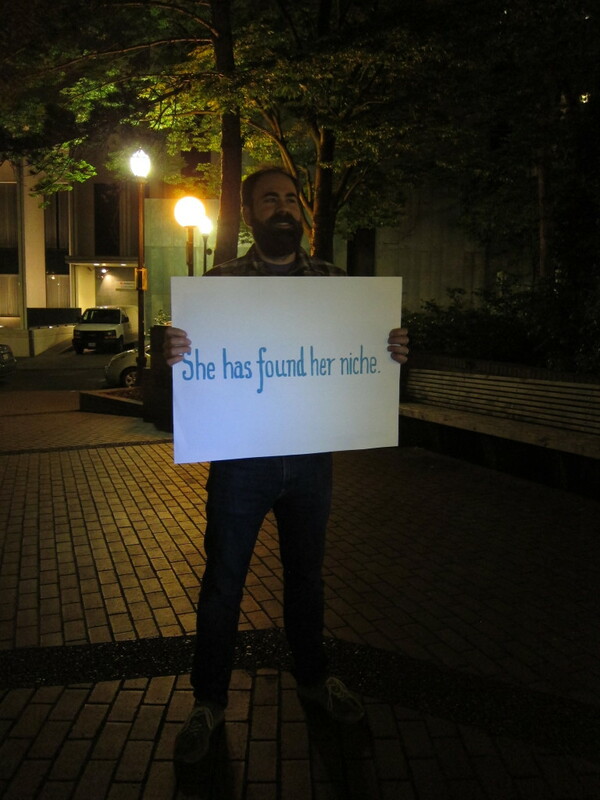 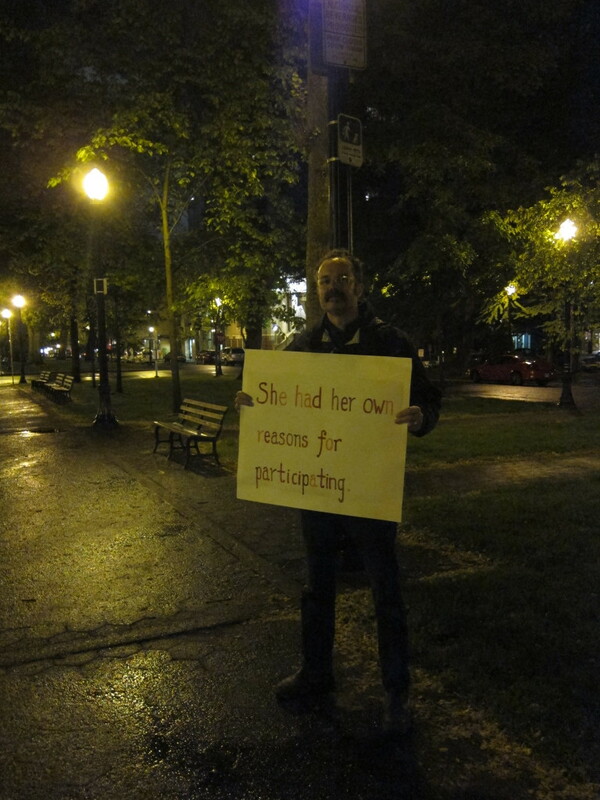 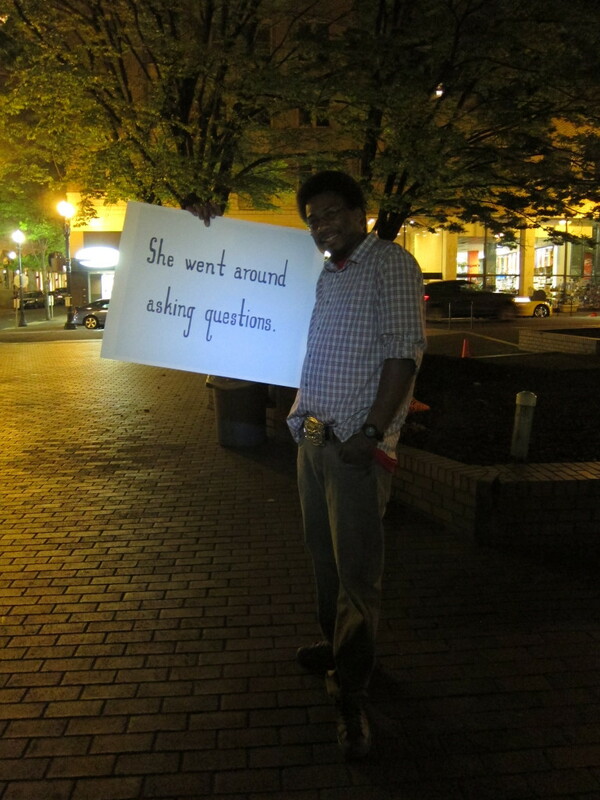 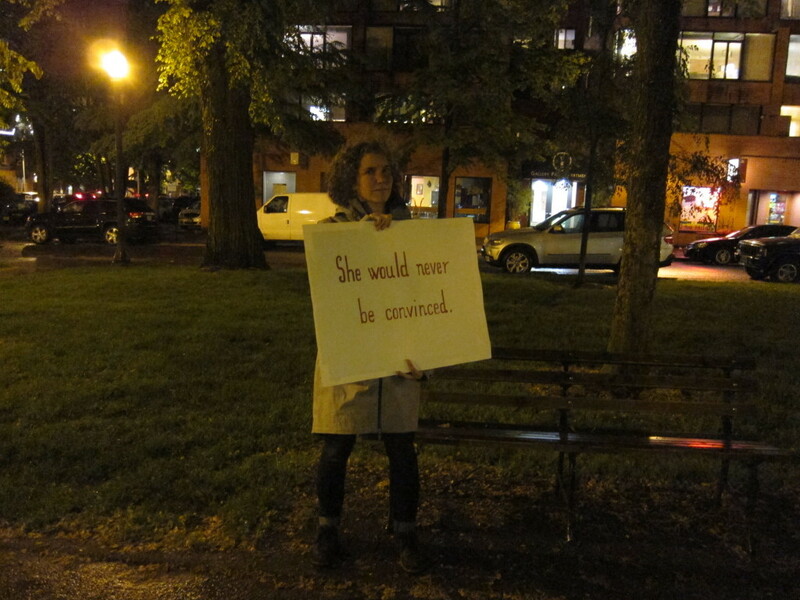 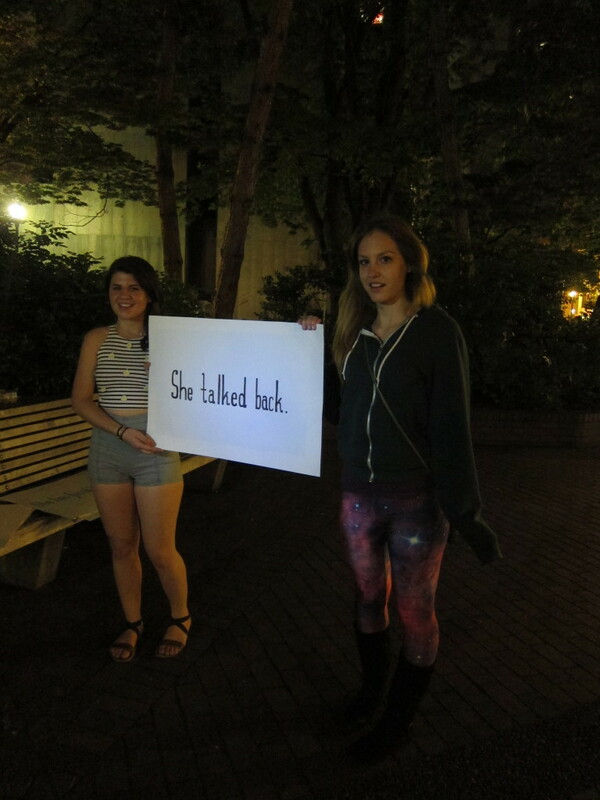 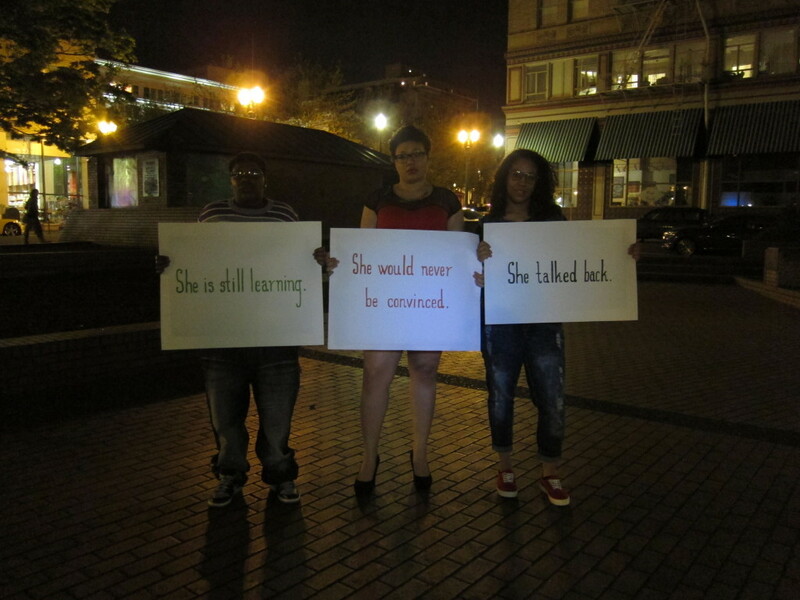 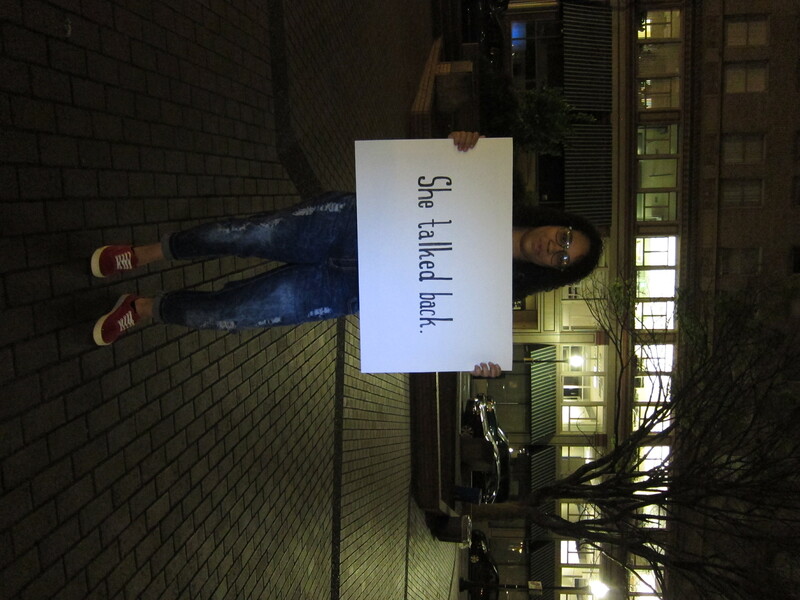 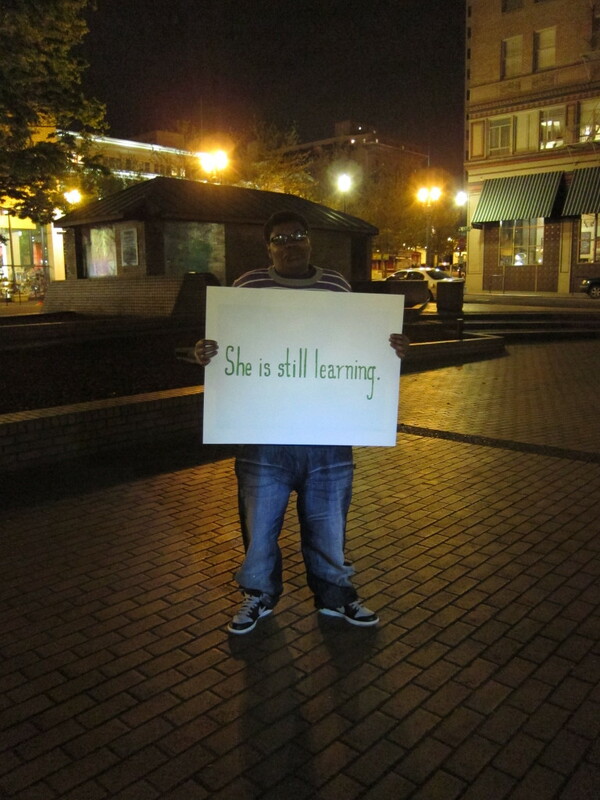 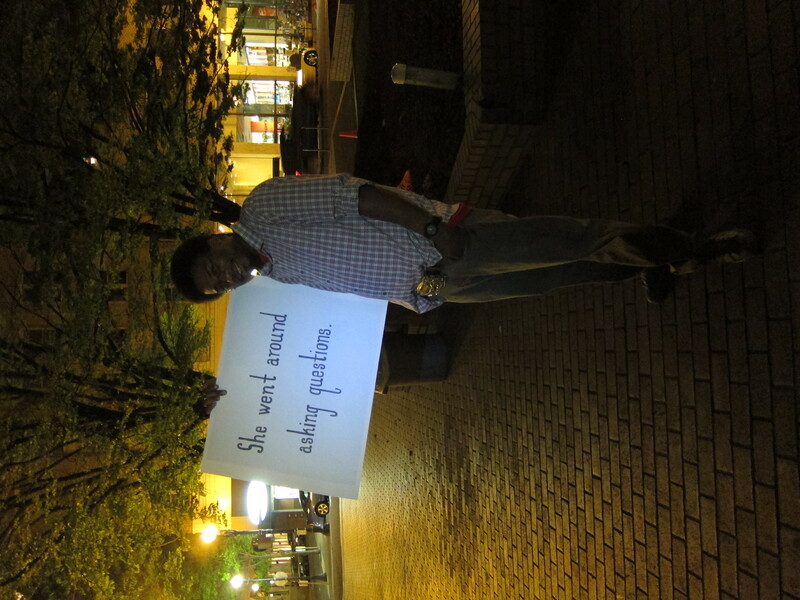 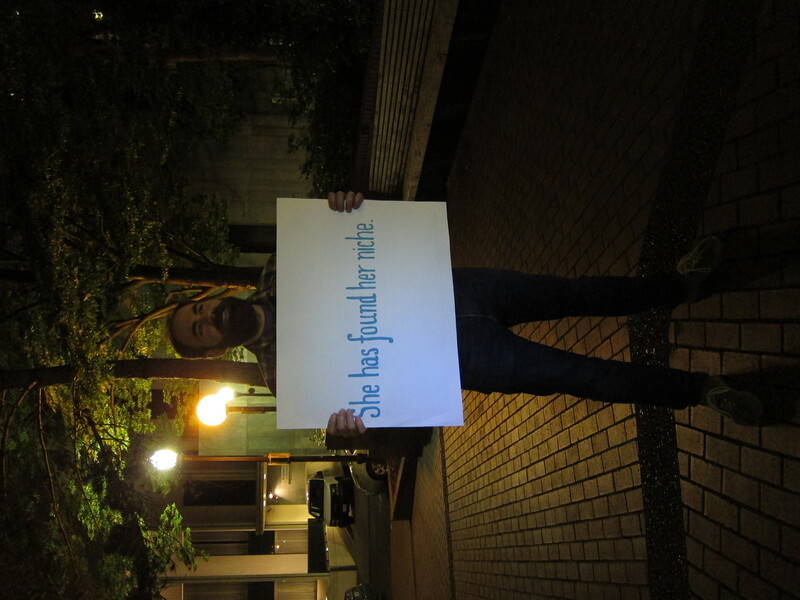 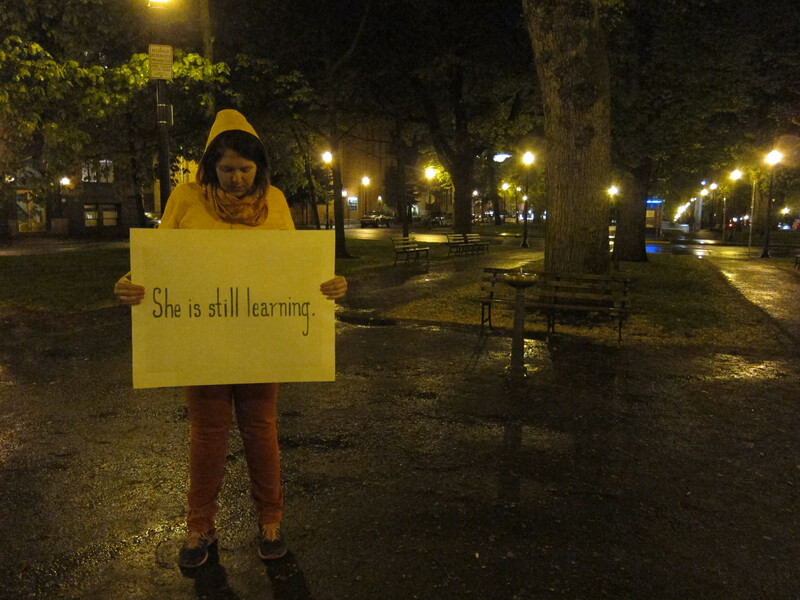 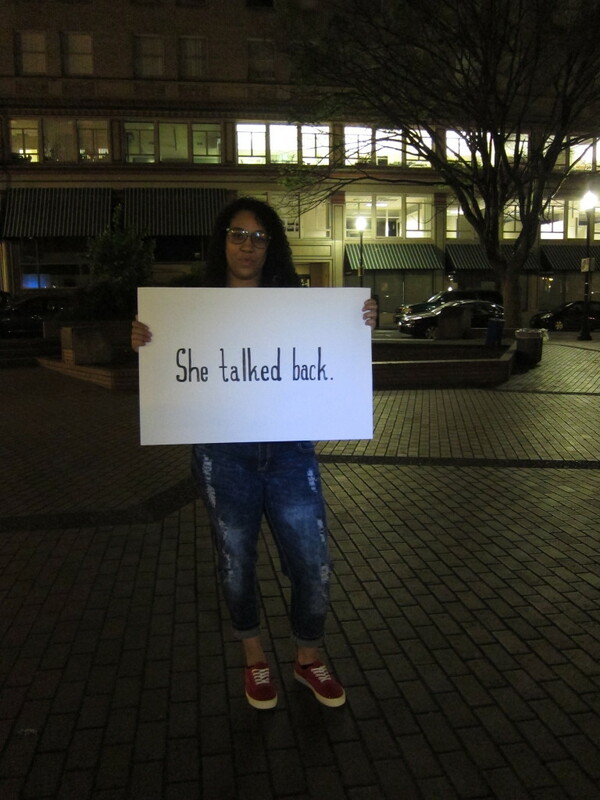 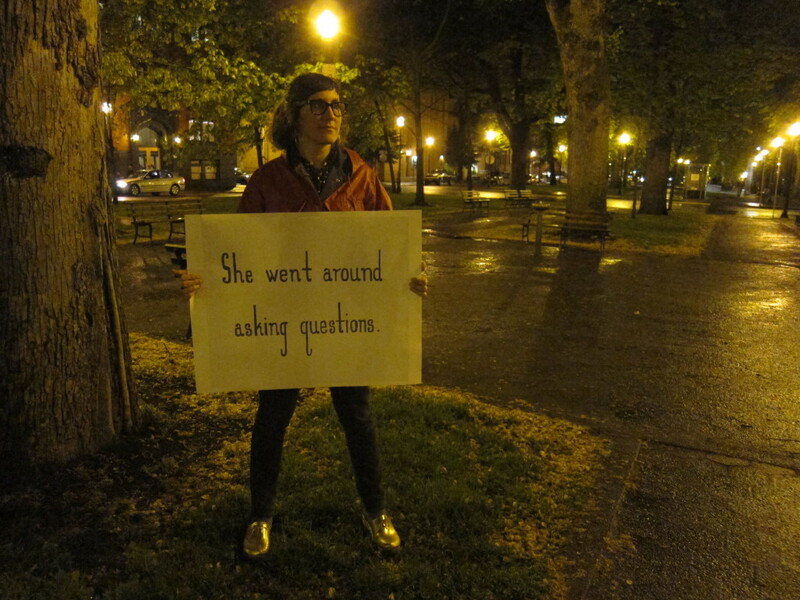 I invited friends to hold the signs, but soon, strangers on the street began to join in.